Το Philips Villa, στην περιοχή Κόλπος Αο Λεουκ σε Κοχ Ταπ, αποτελεί δημοφιλή επιλογή για τους ταξιδιώτες. Το ξενοδοχείο βρίσκεται από το κέντρο της πόλης και σας προσφέρει εύκολη πρόσβαση σε σημαντικά μέρη της. Από τη βολική της τοποθεσία, η ιδιοκτησία προσφέρει εύκολη πρόσβαση σε κορυφαίους προορισμούς της πόλης. Στο Philips Villa, η άψογη εξυπηρέτηση και οι ανώτερες εγκαταστάσεις συντελούν ώστε η διαμονή εκεί να σας μείνει αξέχαστη. Για να ονομάσουμε μόνο λίγες από τις εγκαταστάσεις του ξενοδοχείου, υπάρχουν τα δωρεάν WiFi σε όλα τα δωμάτια, ιδιωτικό τσεκ ιν/τσεκ άουτ, υπηρεσία ταξί, κουζίνα, χώρος στάθμευσης οχημάτων. Οι πελάτες μπορούν να επιλέξουν από 1 δωμάτια καθώς όλα διαθέτουν μια ατμόσφαιρα απόλυτης αρμονίας και γαλήνης. Είτε είσαστε λάτρης της γυμναστικής είτε ψάχνετε έναν τρόπο να ηρεμήσετε μετά από μια δύσκολη μέρα, θα σας ψυχαγωγήσουν καταπληκτικές δραστηριότητες όπως οι εξωτερική πισίνα, καταδύσεις. Το Philips Villa είναι ένας ιδανικός τόπος για να μείνετε αν ψάχνετε για γοητεία, άνεση και ευκολία στη Κοχ Ταπ. Philip’s place is absolutely amazing! Sebastian is very nice and accommodating. They have thought of every single detail to make your stay perfect. The house is beautiful and very tasfuly decorated. Mama takes care of everything and cooks delicious food. 3 friends stayed there in November. The view is breathtaking. Comfortable bedrooms with private bathrooms. Portable phone to use when ever you need to call the driver. Chef and driver on demand (extra cost) Family owned very nice and generous. Always available when ever needed. Pleasant stay. We had only 1 night there but it was amazing! The stuff is extremely friendly, the place was clean and comfortable, the view is amazing!!!! But I advise you to come ready with some mosquito repellent!! Really good place! 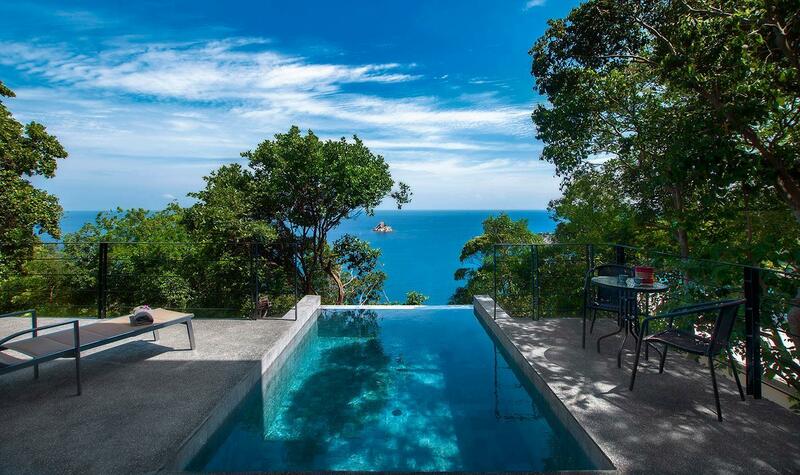 Beautiful view, nice private swimming pool. The staff is so friendly (Mama is so cute, the best welcome we can have). I recommend this place for holiday. 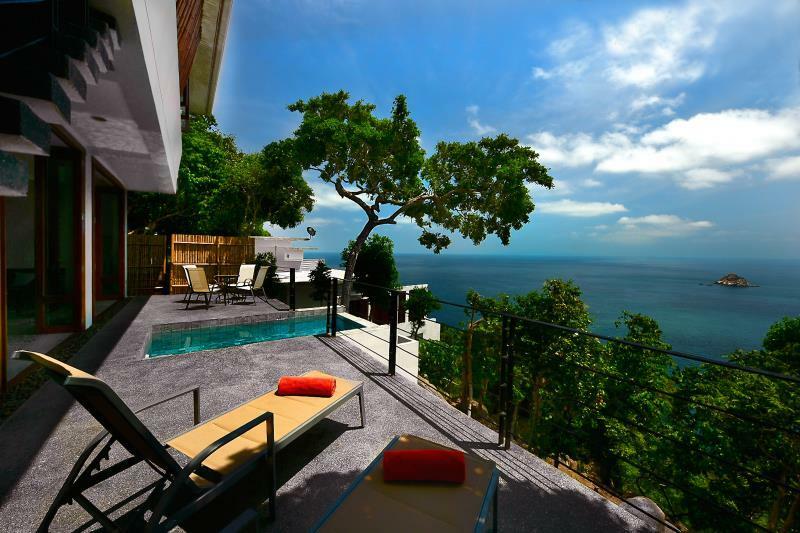 Whether you are traveling on a budget or looking to spend a little extra to make a memory Philip's Villa is incredible. The pictures online don't do the scenery justice and the staff is absolutely incredible. Sebastian and his Dad are great to talk to and will not hesitate to do anything to make your stay great. You will also get the luxury of meeting and being cared for my Momma, such a sweet lady. If I could rate it higher than 5 stars I would. We enjoyed the beautiful sight to the full when we stayed. It was our perfect holiday! 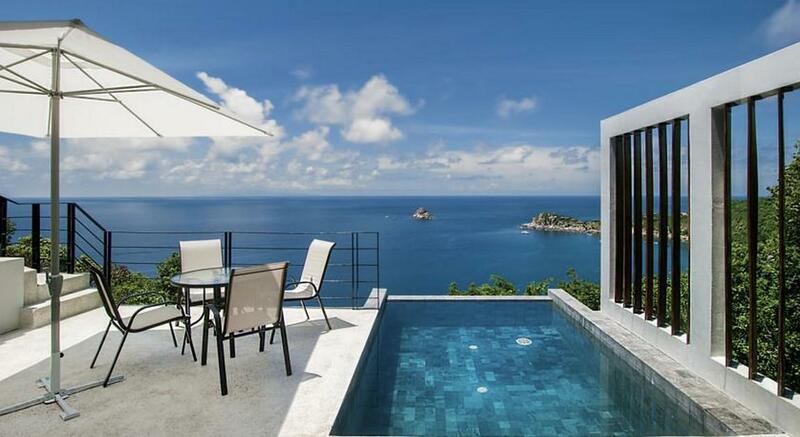 Everything in this location is perfect, the view, the plunge pool and the modern decoration. Sebastien from the staff was very helpful and nice and he could recommend us many things to check out on the island and told us some reliable scooter rentals in Mae Haad (we can highly recommend RPM motorbikes rental). We even got a cell phone with all important numbers in it. Mama, the "guestmother" and her daughter are such nice women too. If you prefer having your dinner at home they'll cook and bring you some incredible menus. If you want your clothes washed they can do that too. The fridge is full with drinks for the same price as in the local 7/11 store. All in all it was an amazing stay and we wished we could have stayed longer! The view. The staff. Mama. The pool. The villa itself.... a perfect little package of heaven. Would find it extremely hard to want to stay anywhere else when I return to Koh Tao. Eine super schöne Villa mit einem traumhaften Ausblick aufs Meer! wunderschön eingerichtet mit allem was man braucht! Der Service und das Personal waren perfekt und sehr herzlich! Alles in allem ein Traum! Wir haben erst eine Villa zu 4 gebucht und waren so begeistert dass wir verlängern wollten. Jedoch war diese Villa dann belegt. Daraufhin haben wir uns entschieden in die nächste Philips Villa zu ziehen. Auch diese war super schön. Die Aussicht aufs Meer ist traumhaft. Einziges manko ist die Lage. Hier ist die Straße noch nicht ausgebaut und es ist sehr schwer hoch und runter zu kommen mit den Rollern. Nur zu empfehlen wenn man sich selber Roller mietet da es doch abgelegen liegt und man sonst jedes Mal ein Taxi benötigt. Fazit super. Una villa meravigliosa, curata in ogni dettaglio, una vacanza da sogno in una casa perfetta e con una vista impareggiabile su Shark Island. Fornita di ogni dettaglio e accessorio utile, incluse bevande. Il padrone di casa è persona molto disponibile, la mattina è andato a prendere per il nostro bimbo il latte, ogni richiesta viene accolta e gentilmente esaudita. In dotazione viene dato un cellulare per chiamare ristoranti, taxi e proprietario: molto pratico! Senza dubbio la cosa impareggiabile, che ti fa sentire a casa, è Mama (e sua figlia altrettanto gentile) che davvero è adorabile, ti coccola come una mamma e poi cucina in modo casalingo, sano e buonissimo (consiglio di ordinare da lei!). Insomma consiglio questa villa senza alcun dubbio! !